Have you been dreaming of owning a new Alfa Romeo? Do you find yourself daydreaming at your desk about cruise through the back roads in Dulles, or the historic streets of Washington DC? Maybe, you’re not sure if you can afford a new Alfa Romeo. Don’t worry. 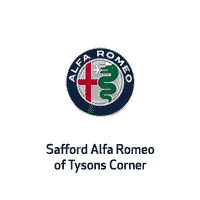 Let the experts at Safford Alfa Romeo of Tysons Corner help you secure your dream vehicle. Safford Alfa Romeo has been helping drivers from the greater Washington DC area get into the vehicle of their choice for years. Our staff has built personal relationships with over 40 reputable lenders to ensure we get you the best rates and terms. If you’re looking to lease or financing your new Alfa Romeo our team of experts are who you want on your side.